Combining OmniSTAR support, optional GLONASS support, H-Star™ technology and dual frequency GPS, the GPS Pathfinder ProXRT receiver is a truly versatile solution offering you the accuracy you need, worldwide. You need accuracy and you want it now. A VRS network or a local base station is not available in your area? Then real-time decimeter accuracy with OmniSTAR HP couldn't be easier. The OmniSTAR antenna is integrated so there's no need to carry any extra equipment—just purchase a subscription and wait for the over the air corrections. 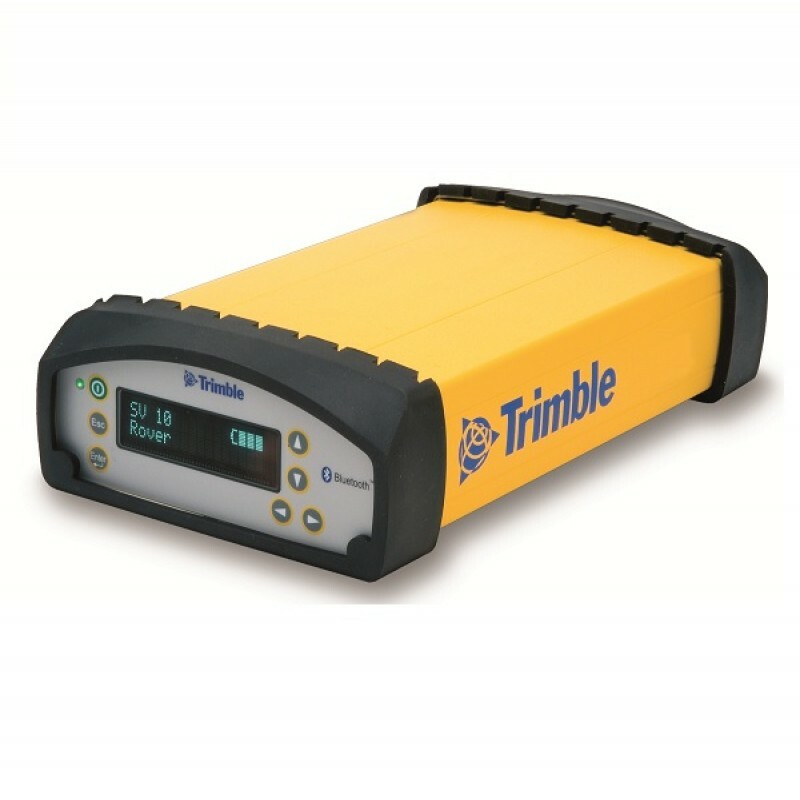 The Trimble GPS Pathfinder ProXRT receiver is also capable of using the OmniSTAR XP/G2 service (for 20 cm / 8 inch accuracy) and OmniSTAR VBS service (for instantaneous submeter accuracy). Installing the GLONASS option on your Trimble GPS Pathfinder ProXRT receiver increases the number of GNSS satellites that you observe when working in the field with the OmniSTAR G2 service for improved accuracy. GLONASS improves your ability to maintain lock on enough satellites to keep working when sky visibility becomes limited, letting you work for longer in tough GNSS environments. Tracking GLONASS satellites as well as GPS satellites improves your productivity by reducing the time required to achieve real-time decimeter accuracy. Trimble GPS Pathfinder ProXRT receivers bring Trimble H-Star technology to the field in real time. Connect to a Trimble VRS™ network or a local base station correction source and you can collect decimeter (10 cm / 4 inch) or subfoot (<30 cm / <12 inch) positions in the field. Simply use a wireless link to your local VRS™ network, or set up your own base station for the flexibility to work wherever you need to. The latest generation of Trimble 360™ receiver technology enables tracking of the Galileo GIOVE-A and GIOVE-B test satellites for signal evaluation and test purposes, through the Web Browser interface available with the NMEA optional upgrade. The Trimble GPS Pathfinder ProXRT receiver is built for the tough field conditions where you work, and can operate even in extreme temperatures. The integrated lithium-ion battery is designed for all day use, so you can continue working for as long as you need. You can choose the field computer and software to suit your workflow. The ProXRT receiver is ready to use with the rugged Trimble Nomad® G or Juno® series handhelds or a variety of field computers, including laptops, Tablet PCs, and PDAs. Choosing mapping software? Trimble TerraSync™ and GPS Pathfinder Office software or the Trimble Positions™ software suite provide a complete solution from field to office and back. Or use an application built using the GPS Pathfinder Field Toolkit that's totally customized to your needs. And Trimble GPS Pathfinder ProXRT receivers give you the flexibility to choose the style of setup to suit your requirements. Choose a pole for added precision or a backpack for your convenience and added comfort.